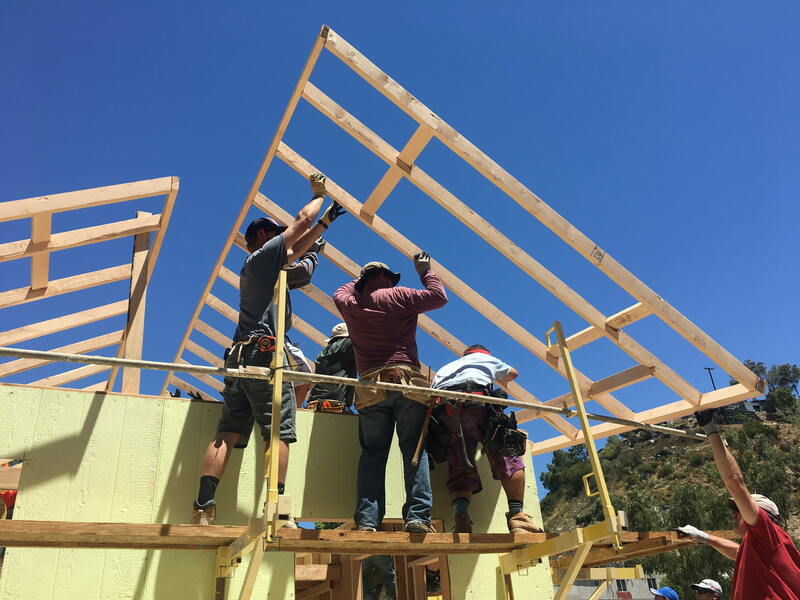 Our homebuilding model with our building partners in Tijuana, Mexico promotes self-sufficiency as it provides opportunities for service and contributes to the creation of a sustainable community and a better future for everyone involved. Corazón's has deep ties to the communities within Tijuana which run back to 1972, when the founders first started providing services to the residents of a marginal community on the outskirts of Tijuana, Mexico, known as Pedregal. 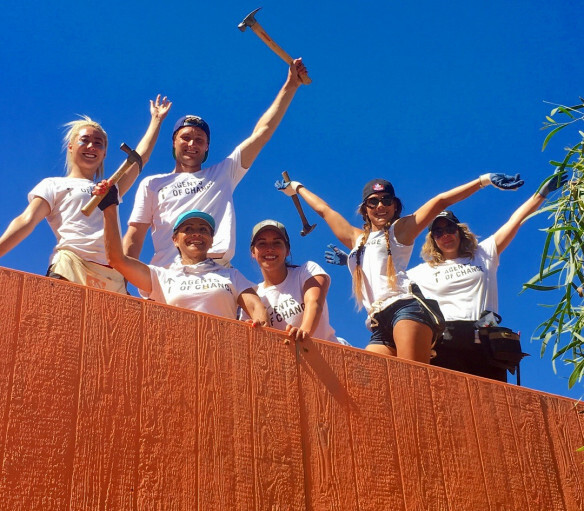 Homes of Hope have more than 100,000 volunteers who have participated in building for the poor in 21 nations. They build on a platform of long term sustainable and transformation of communities through homes and the infrastructure they provide. 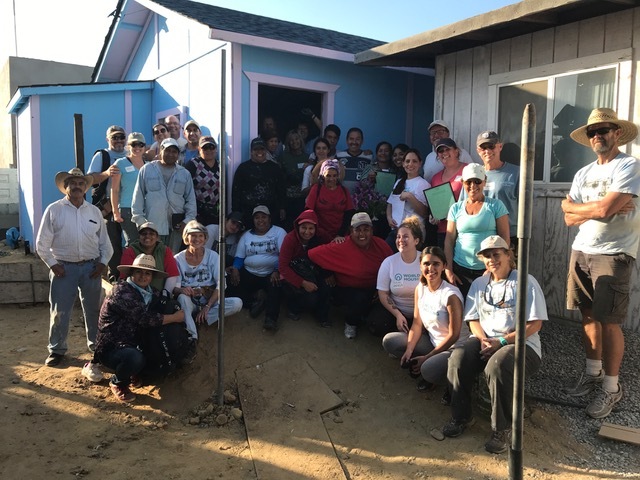 In total 40 homes have been funded and built through this amazing partnership and the commitment to transforming lives by the Pacific Sotheby's Agents of Change. A 20 minute drive south west from the Otay Mesa border crossing is a neighborhood predominantly made up of families who work in maquiladoras (factories) or construction. The average wage here varies between $25 USD and $50 USD per week. The roads here are all dirt, except for the main entrance, which is only partially paved. The terrain is rugged, demarcated by steep inclines and declines so when it rains the streets become impassable and mudslides can occur. In the upper parts of this neighborhood, there is no running water, electricity, garbage collection, or sewage system. The Homes here are typically constructed from second-hand lumber, the kind that people find after a construction project ends or when houses are torn down. The roofs usually consist of a mixture of used tarps, scraps of plastic and tin sheets. Each family assembles their homes based on the materials they can afford, anything that they are unable to purchase they are forced to salvage from the surrounding area. In 2017, Pacific Sotheby's International Realty launched the Agents of Change pilot program which has deeply resonated throughout their organization, and become a cornerstone of the company culture.